BIG NEWS!!!! 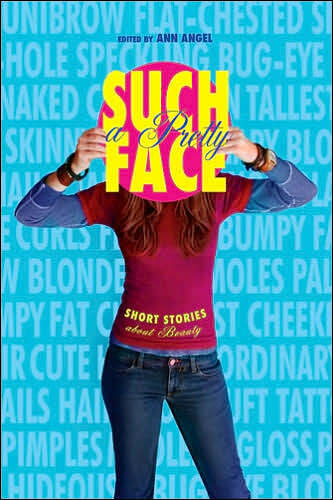 Such a Pretty Face, Short Stories About Beauty which is actually an anthology of anti-culture-of-beauty stories is now available as an e-book. 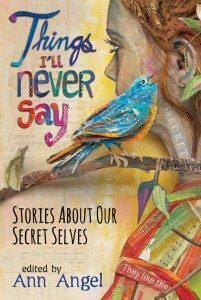 I have always believed this book is important to young adults who struggle with their views of beauty but it’s especially important now when we read so much in the news about shaming girls and women about their looks, their weight, their views. You can order it from your favorite bookstore or click on the e-book link. In other news, we’ve just finished hosting Mount Mary University’s third annual Publishing Institute where participants met with agents and editors to pitch their work. The day included a poetry workshop with Milwaukee Artist of the Year, Dasha Kelly. Participants read their poetry in a public reading at the end of the day and then helped us make our poetree blossom with their words. 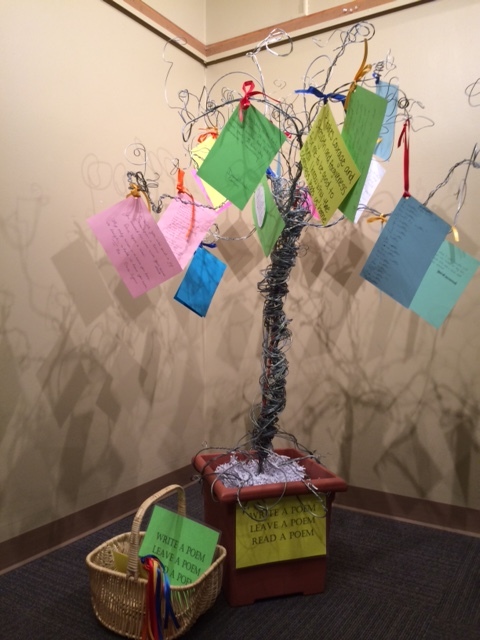 Our poetree is on exhibit at Mount Mary University. 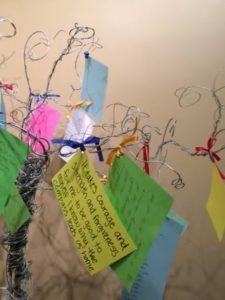 Speaking of Mount Mary, I need to get this post up and then I need to hightail it over to Mount Mary because my students in the Literature and Writings of Protest, Violence, and Redemption are about to display their graphic novel panels for a celebration of writing. I hope you’re all finding a million ways to celebrate this creative life! I sure am — at least this week. 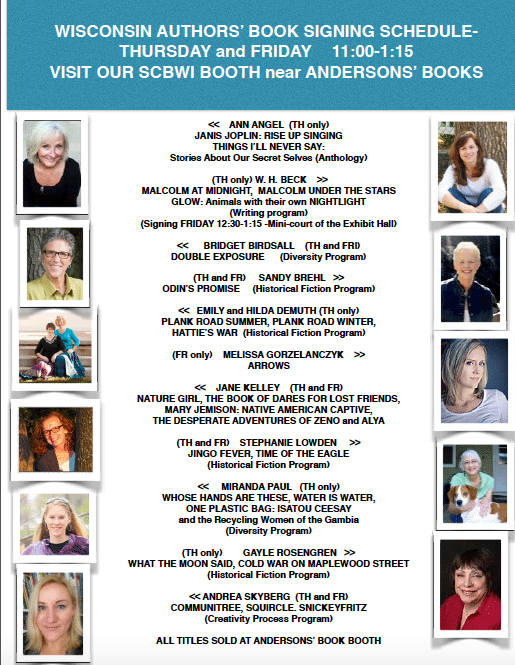 Book lists and library visits: I hope to see you at one of the following…. First the big news…. 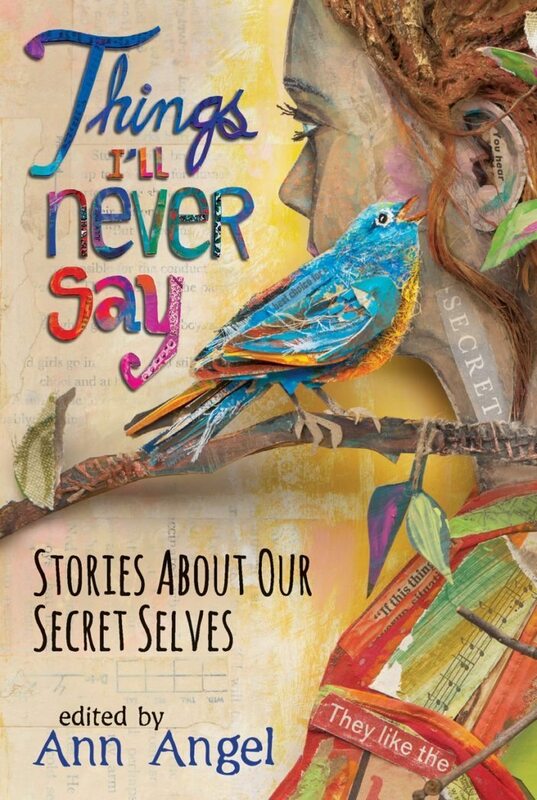 Things I’ll Never Say, Stories about Our Secret Selves was named to the CCBC 2015 Choices list! It’s also on the Teenreads Teen Choices award nomination list along with books be fellow Wisconsin writers Pat Schmatz (Lizard Radio) and Ann Bausum (Stonewall). If you like to vote for your Teen Choices, just click on here.